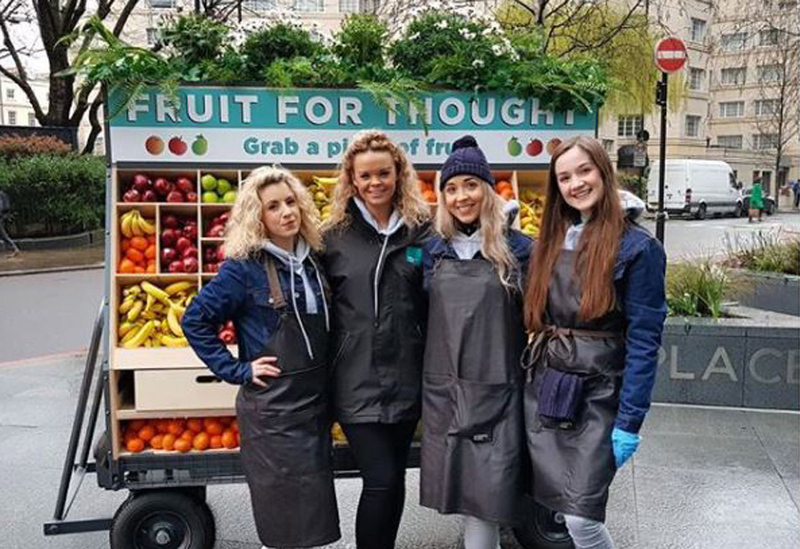 We created this fun, multi-tiered cart for use as part of the ‘Fruit for Thought’ activation, providing a mobile focal point for the distribution of fruit in different London locations. 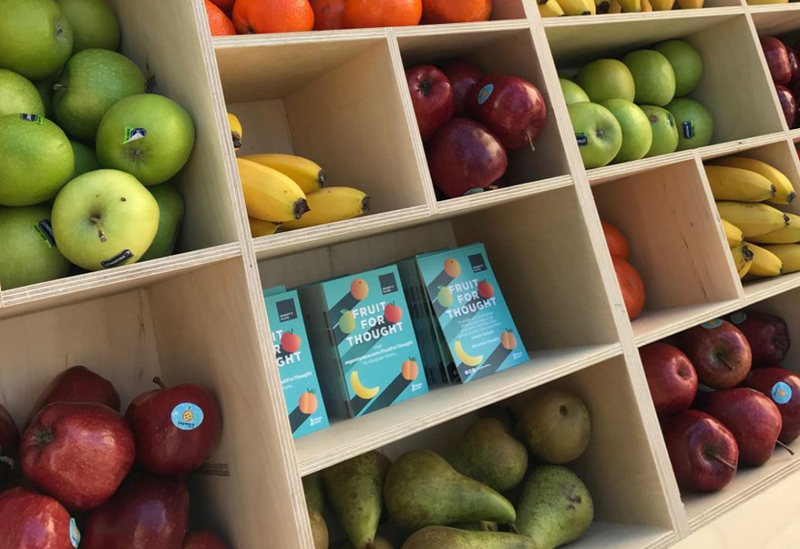 The customised cart used a standard warehouse trolley for its base and a steel frame to hold display units on both sides, making it portable yet sturdy enough to accommodate the weight once fully laden with fruit. 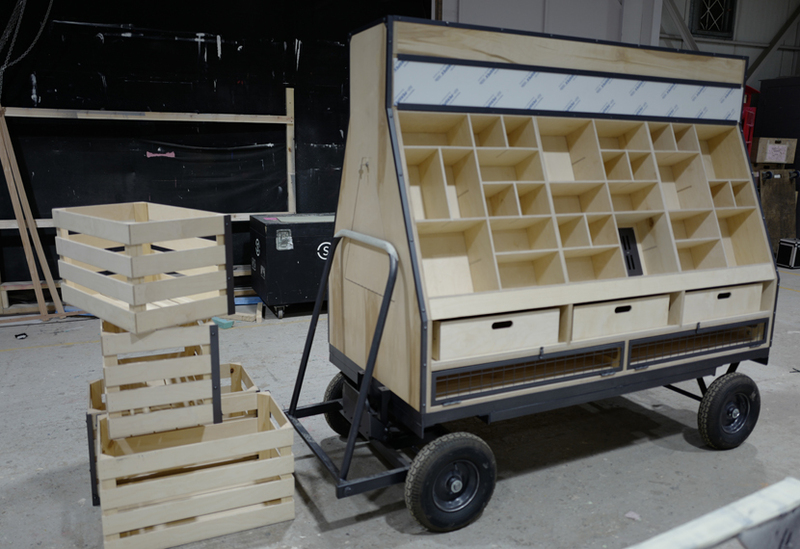 The finished cart comprised a series of demountable tiers, made in our workshops from CNC’d plywood and which mounted onto the internal frame. 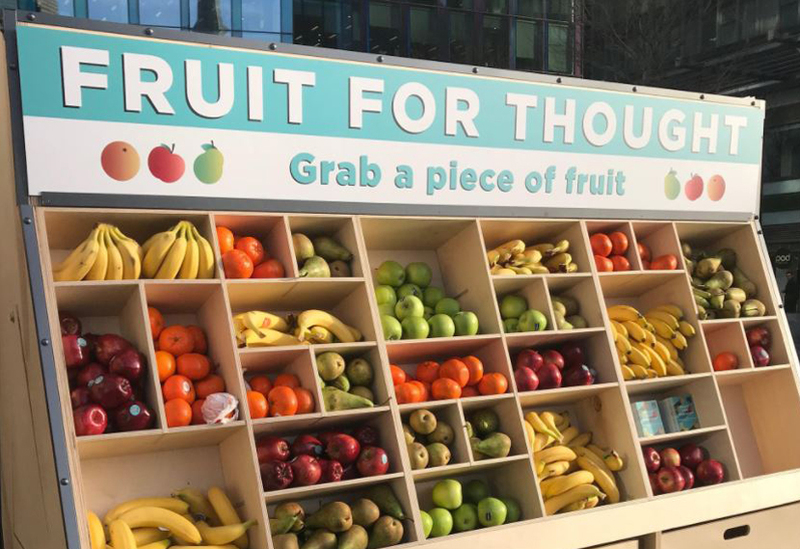 At the base, a series of cages provided storage for the fruit. This was topped with three plywood trays on each side, which in turn was topped with a Mondrian grid of irregularly sized compartments, creating an eye-catching yet practical display. Finished with a clear lacquer, the cart was topped off with a long graphic light box and planter. 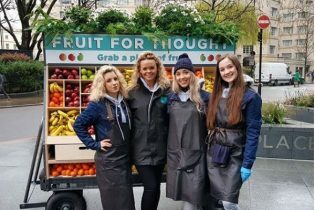 Designed and constructed to be easily adapted for future promotional campaigns, the cart is currently featuring in ‘Free Fruit Friday’ activations in London’s Regent’s Place and the newly redeveloped Paddington Central.